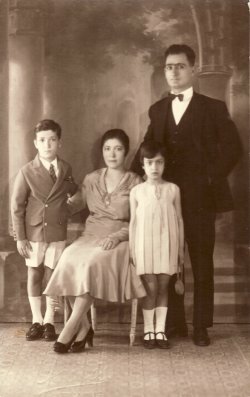 Above: The Sotirhos family. 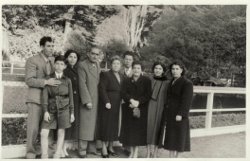 In the back row are: Pelagia, Marianthi- her daughter, Despina, and her husband, Emmanouil, Sophia and Giorgos saltogiannis and Kostaki. In the front row parents, Permathia and Ioannis- with Nelli Savva- in the middle. 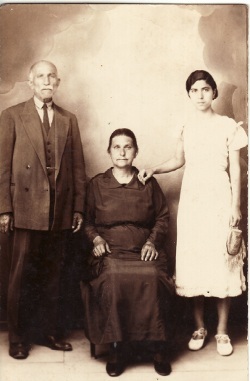 Above Right: Her parents, Ioannis and Permathia- with her sister, Sophia. Above: Alexandria, Egypt. 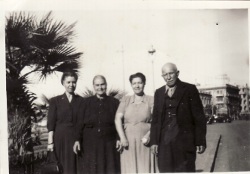 L-R: her sister, Marianthi, her mother, Permathia, Irini herself, and her father, Ioannis. 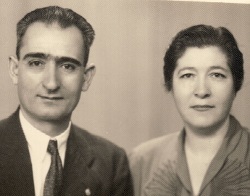 Above Right: With her husband, Christos. Above: With her husband, Christos, and their children, Dimitrios and Persephone. Above Right: Wellington's Botanical Gardens, New Zealand. 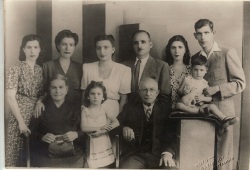 L-R: Giorgos, Kostas and Sophia Saltogiannis, her husband, Christos, Irini herself, Andonios Savvas, Persephone Psomou, Nelli Savva and Pelagia Savva.